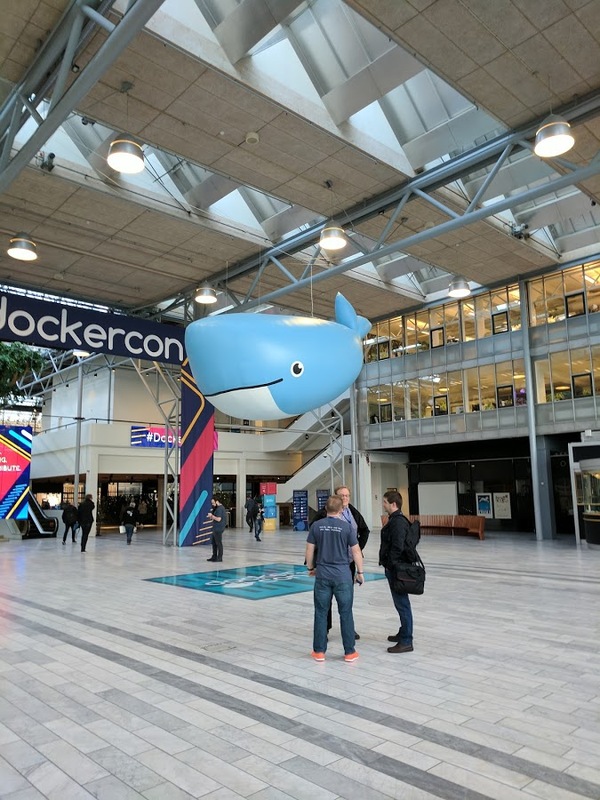 Ever since I got back from Dockercon EU 17, which was in Copenhagen this year, I have been thinking about what a great vibe the city has, how clean it us, how bike friendly it is, how lovely the people are, how incredible the craft beer scene is, how ridiculous my FOMO is that I didn’t make it to noma under the bridge while I was there. The Bella (conference) Center is less than 10 minutes by cab from the airport, but then trains go directly from the airport to the station there, too. It has natural night. I know – crazy, right? When you’re used to cavernous US conference centers, which seem to do everything they can to protect vampires by blocking out any hints of sunlight, it’s a delightful change. The Bella Center even manages to make fairly decent food, even at scale. The AC Hotel Bella Sky attached to the conference center is modern and crisp with that Nordic style you just don’t get anywhere except, well, the Nordics. 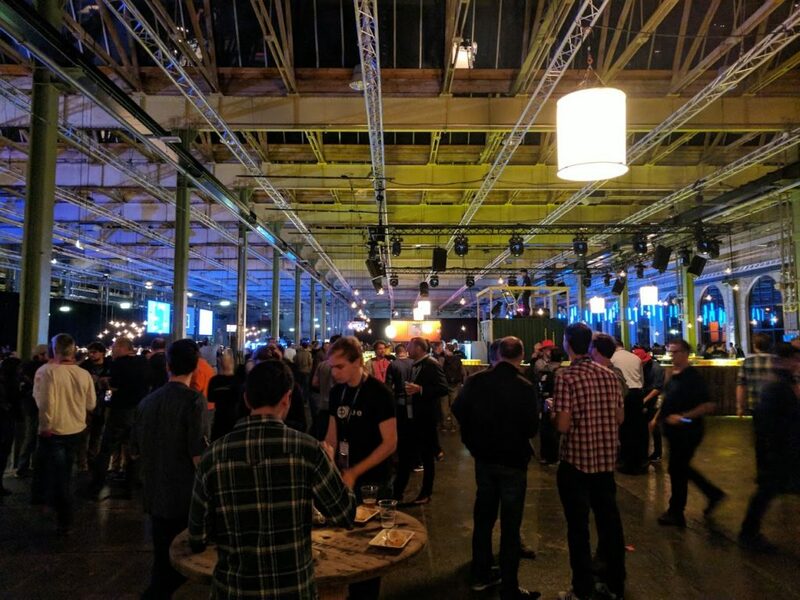 The Dockercon party was in a massive old Rail Workshops, which if it was me, I would probably have used as the actual conference venue. 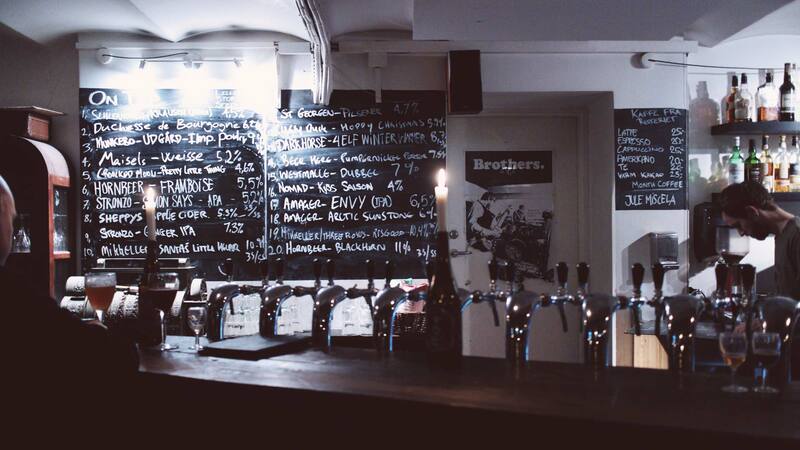 All in all, the experience of getting to Copenhagen, the conference center, and then hanging out in the city at places like Hell Pigs and Fermontoren – cosiest. beer. bar. ever. Made of purest hygge. Given how unpleasant the USA is making it for foreign travellers to enter the country, I suspect we’ll start to see more and more companies have their primary conferences in Europe. Hope so! I’d love to know what city is your favourite for tech conferences, and why? I found Bratislava excellent when I visited for Euroclojure – easy travel, not expensive, beautiful city, lots to do. have not been to bratislava. will put in on my list! Web Summit is being held right now in Lisbon, Portugal. They chose the city for its weather (It’s 17ºC and sunny outside all day) and its cultural vibrancy. There are plenty of Startup hubs in the city and the country, which helps fill in the booths. It’s also close to the US for shorter flights. If you need more detailed information about venues and the likes, I can help you. thanks alcides! yes lisboa is great. one of my favourite cities. it’s a definitely a solid choice for conferences and events. Nordic hotel breakfasts are the bestest!